This past October, my husband, Adam and I had an amazing two weeks holiday in the US. 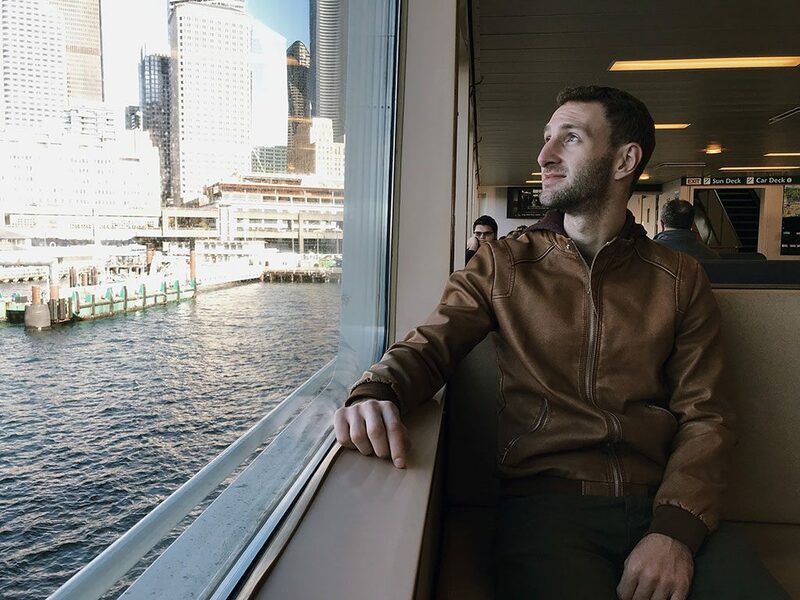 Last year, Adam had to attend a conference in Austin, Texas and since it was both our very first time to go to the US, we also took that great opportunity to visit New York City. 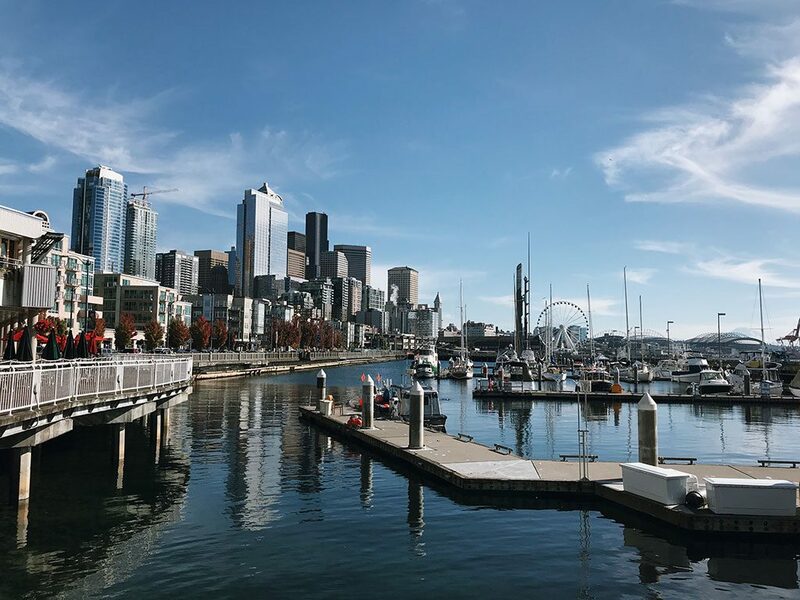 This year for our second visit to the US, Adam had to attend the same conference this time in Seattle, WA. 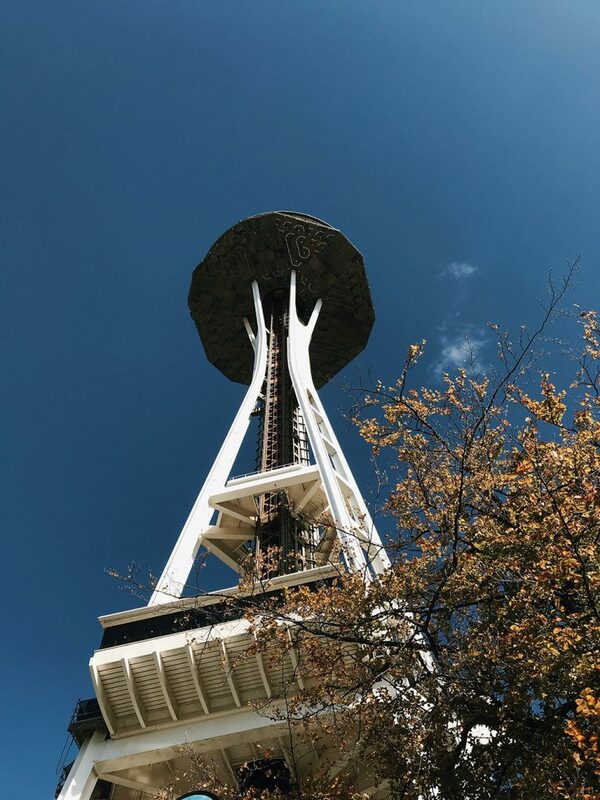 We decided to spend a week in Seattle, before heading down to San Francisco, CA and spend another week there. 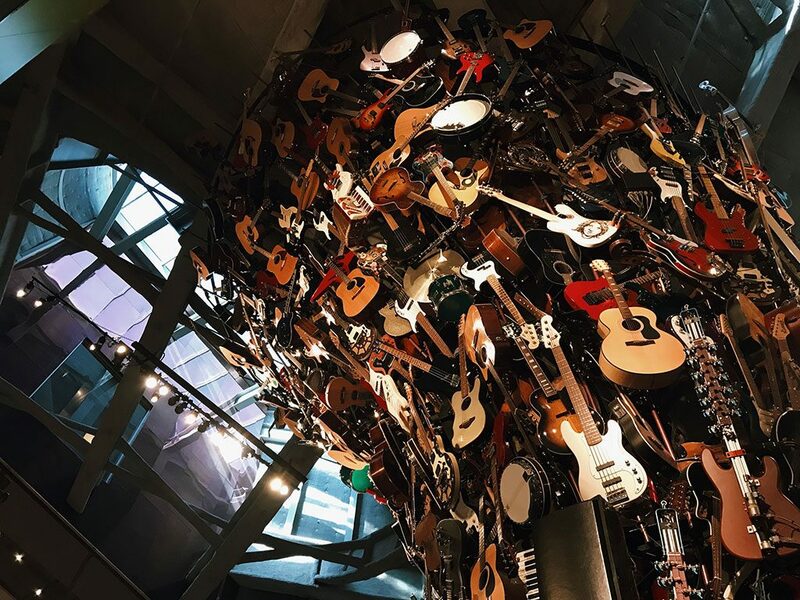 To be honest, I didn’t know much about Seattle except for its iconic Space Needle and that it’s the birthplace to famous rock bands like Nirvana and Pearl Jam. 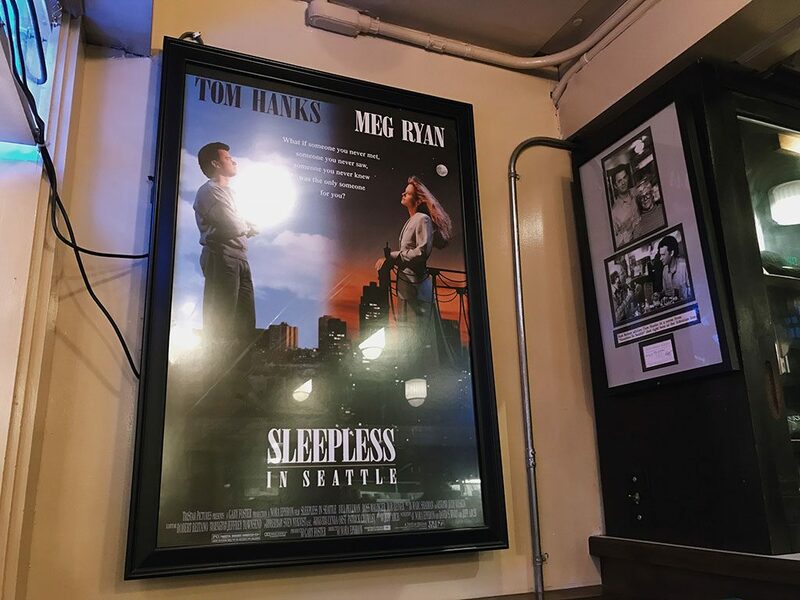 Oh, and of course the classic rom-com Sleepless in Seattle! 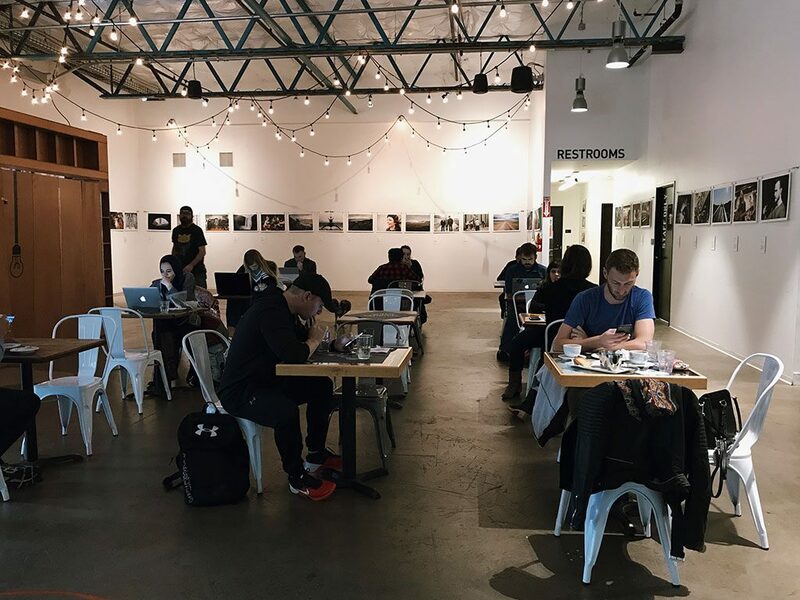 But after spending a week there, I realized that Seattle is definitely one cool city with so much to offer. 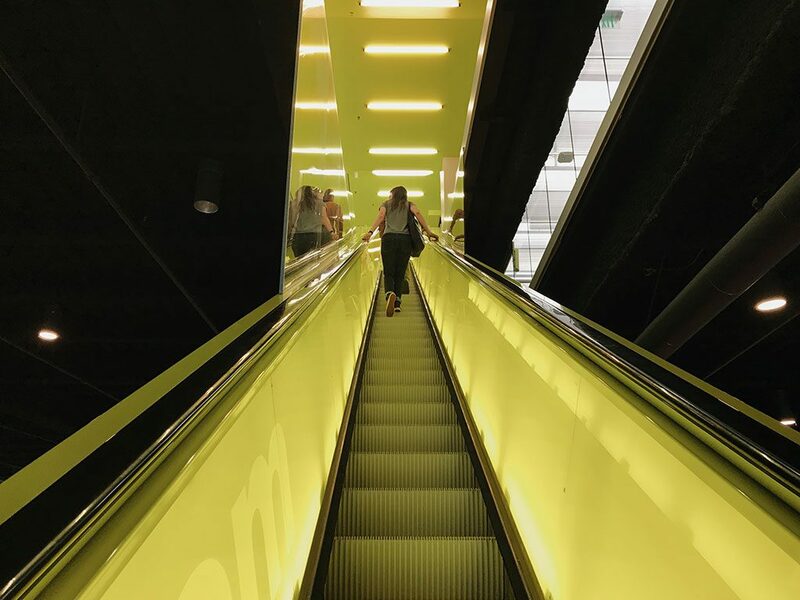 It had a very relaxed, friendly, and community-driven vibe, with brilliant music and coffee scene, unique bars and restaurants, excellent seafood, and interesting architectural attractions. 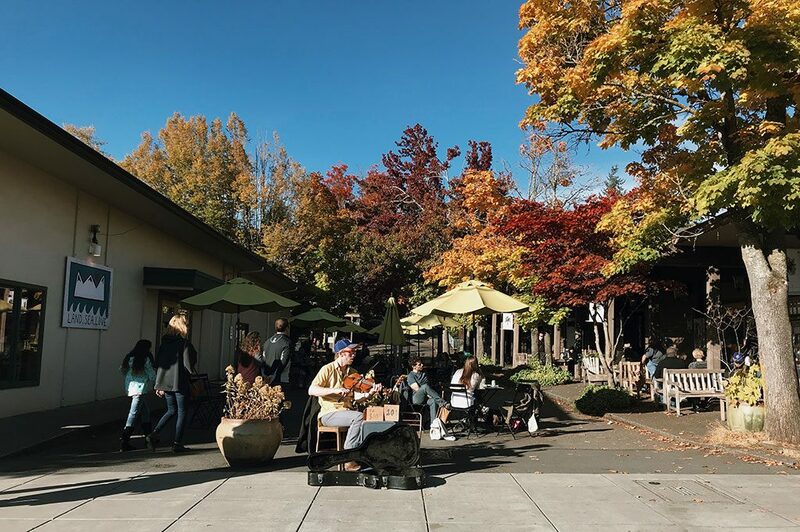 What’s more, Seattle may be a big, modern city, but it still felt very green, with lots of beautiful nature surrounding it. 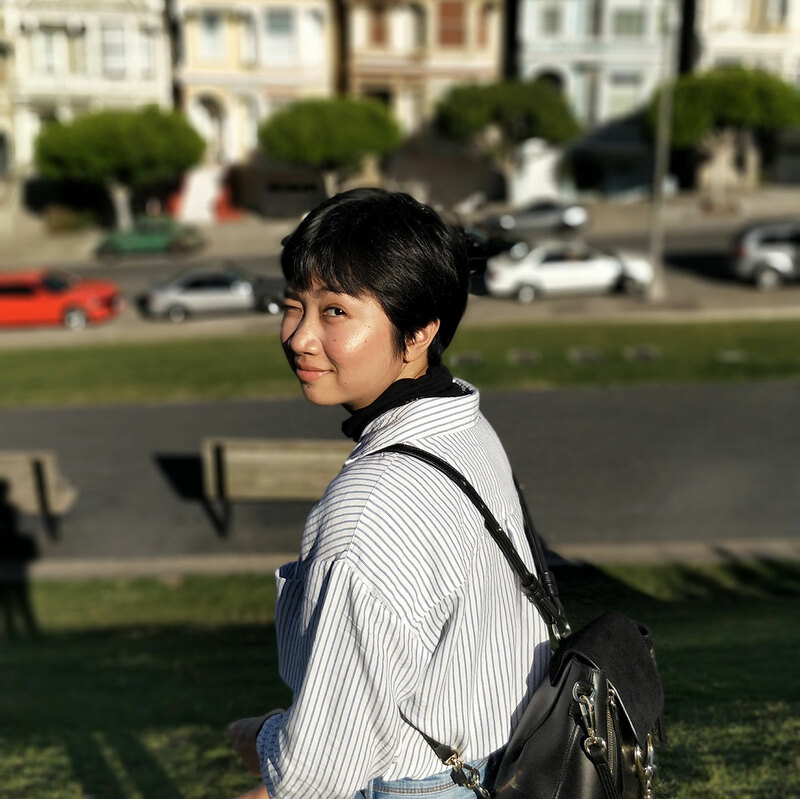 It was truly a wonderful city, and I’d definitely go back there again if I have the chance. 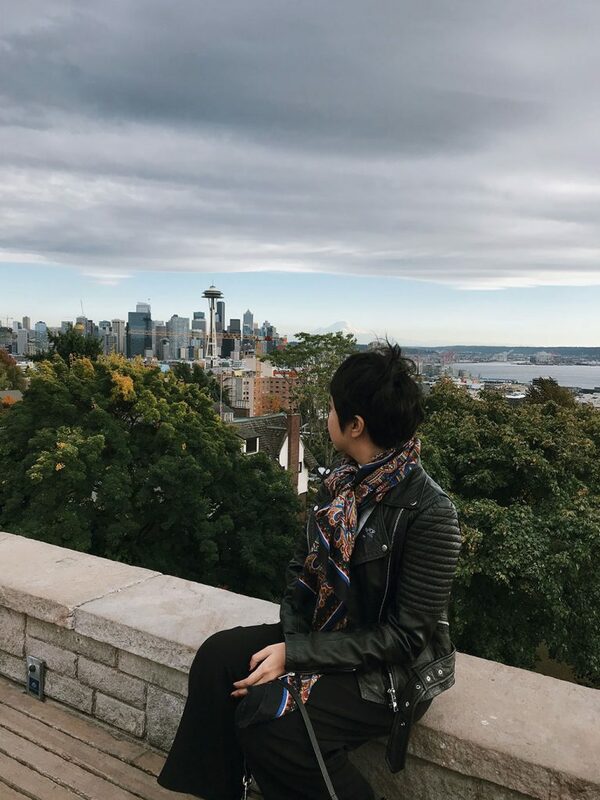 5 hour flight, 1 hour 30 minutes connection, and 9 hour flight later, I’ve finally made it to Seattle! Adam and I arrived here in the afternoon, but we were too knackered to go out and explore anywhere. So, we decided to rest in our hotel for the rest of the day. 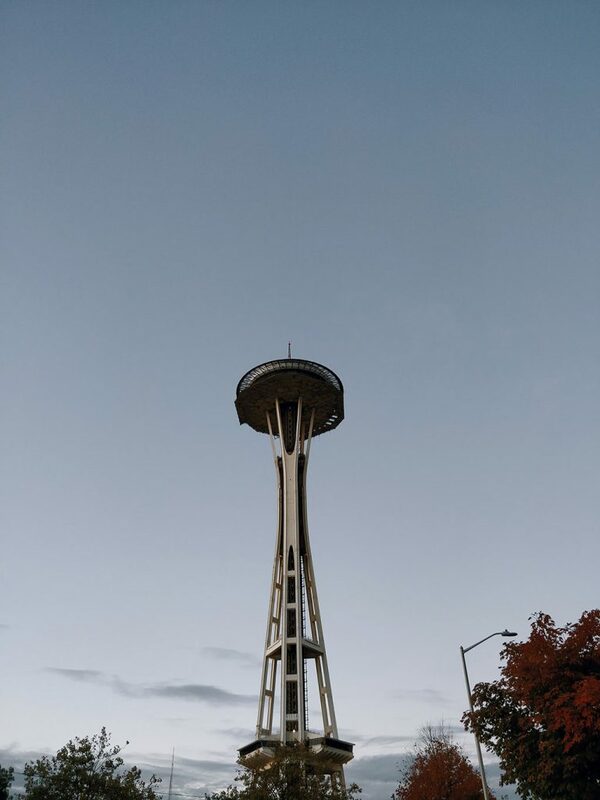 I didn’t realize how close my hotel was to the Space Needle! This is a shot Adam took while we were out getting dinner around the area on the first day we arrived. 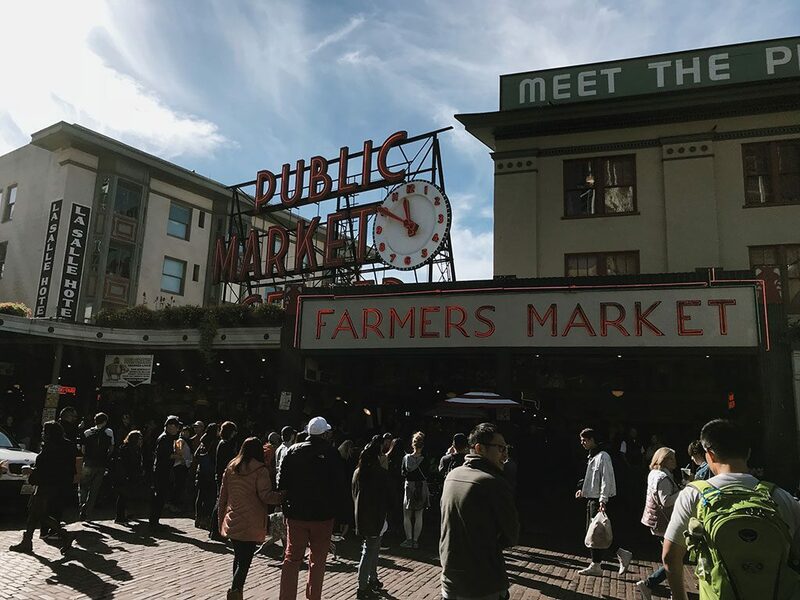 Feeling a bit more refreshed, we decided to head straight into downtown to check out one of Seattle’s most popular destination; Pike Place Market. 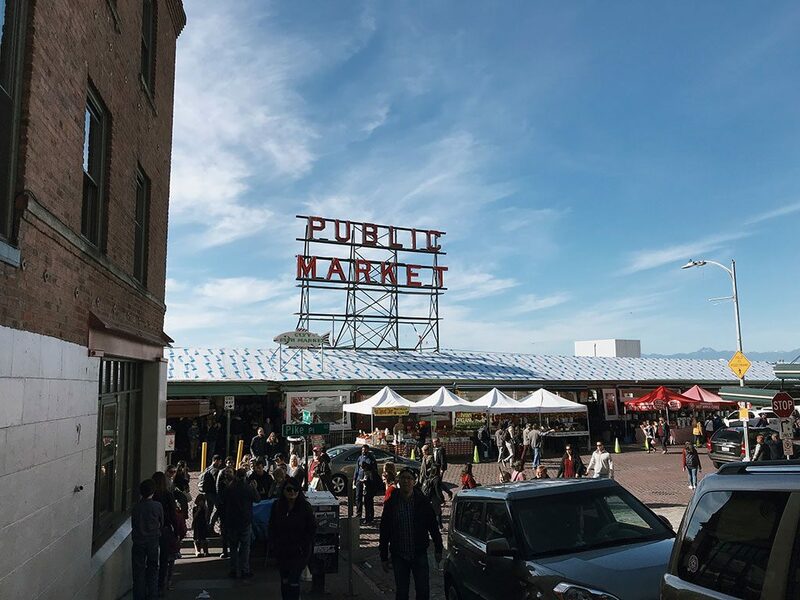 Located in the heart of Seattle’s downtown, Pike Place Market is a vibrant public market comprised of many local businesses of farmers, craftspeople and merchants. 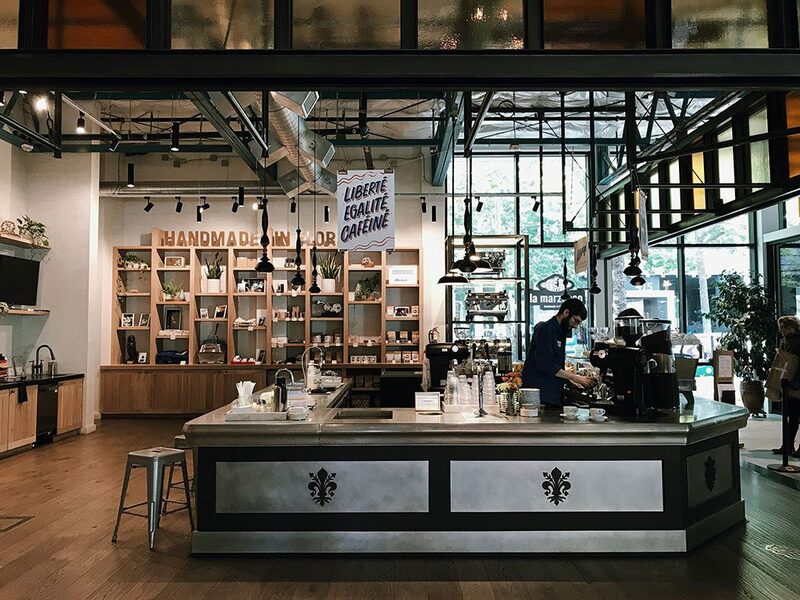 There are tons of eateries in the market and around the area, from simple take-out counters to fine dining restaurants, as well as coffee shops like the Original Starbucks. 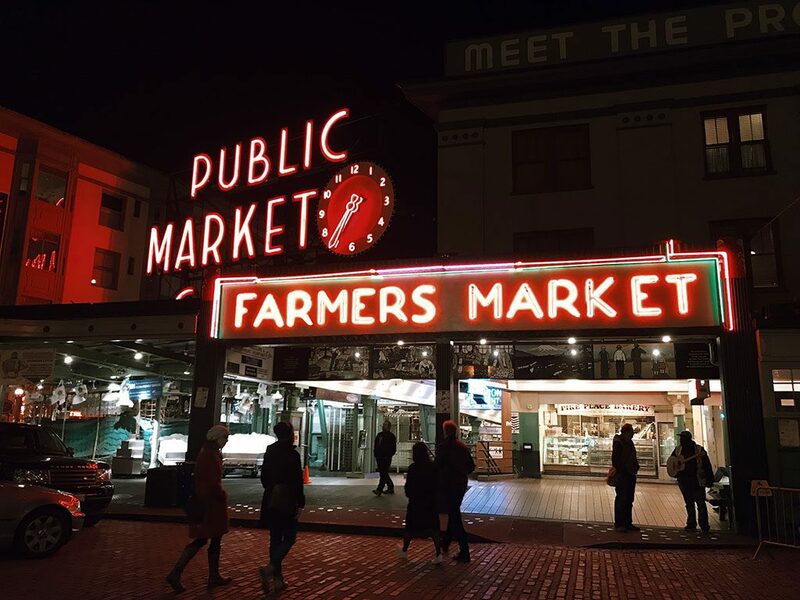 Pike Place Market was established in 1907, and is considered to be one of the oldest public farmer’s market in the US. 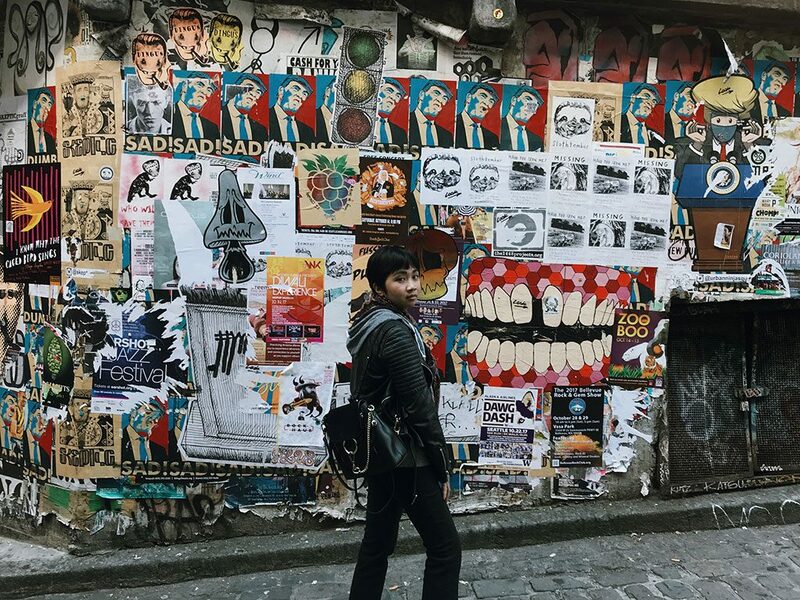 On our walk from our hotel to downtown, I really felt that Seattle is a really quiet city! Maybe it’s because I’m so used to the hustle and bustle of Bangkok, where you can find street vendors selling food and drinks at every twist and turn, big roads full of colorful taxis and bus drivers who drive like maniacs, and busy streets filled with local cafes and restaurants, pubs, convenient stores, high rise condominiums, and shopping malls. Everywhere is pure chaos, but incredibly lively. 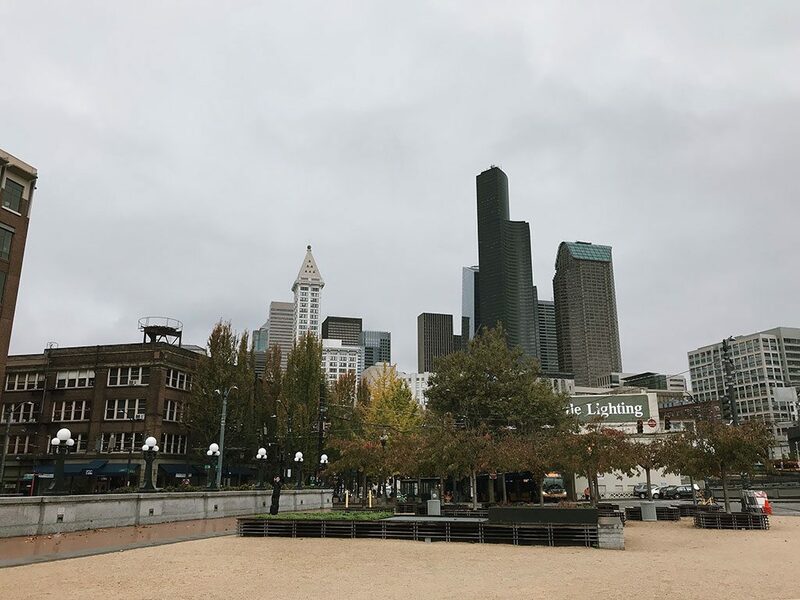 So when I was walking in downtown Seattle, I thought, why is it so quiet here? Where are all the people? 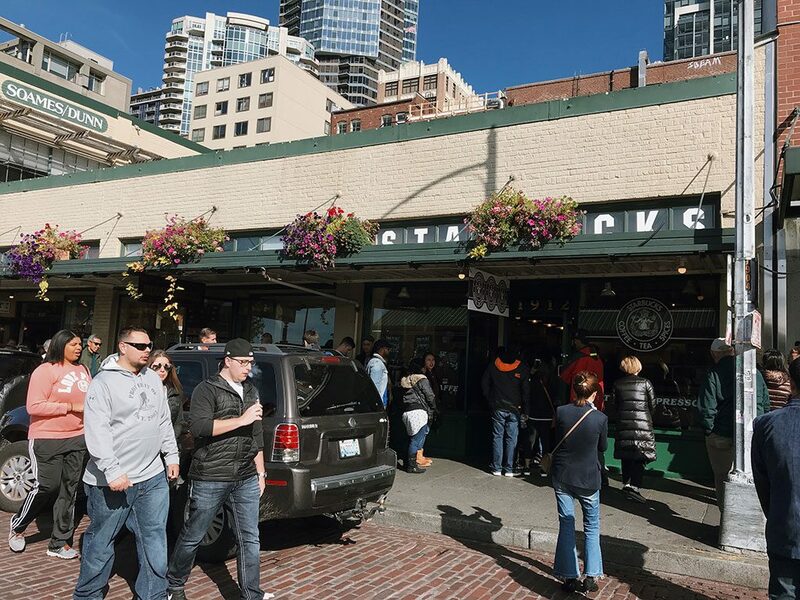 But when I arrived to Pike Place Market, I realized that this is the place where everyone hangs out. The place was bustling with locals and tourists! 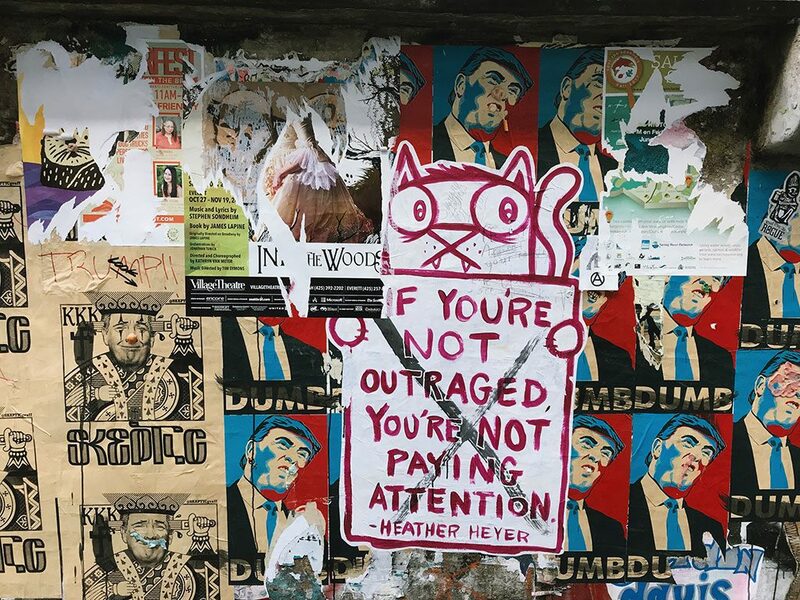 On our way down to see the Gum Wall, there’s a whole wall devoted to gig and political posters. Many of them looked really cool! 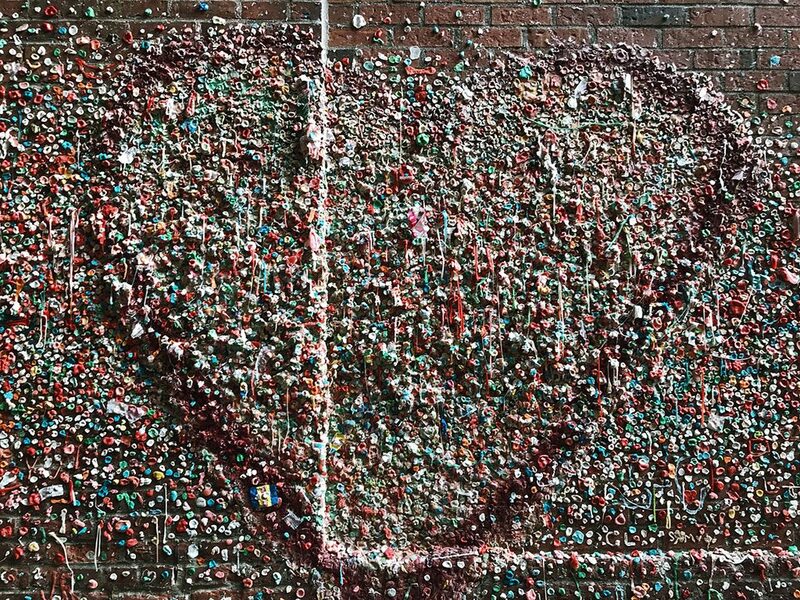 Another popular attraction around Pike Place Market is the Market Theater Gum Wall, a brick wall covered in used chewing gum located in Post Alley under Pike Place Market. I read that this tradition began around 1993 when people waiting for shows at nearby Unexpected Productions (an improvisational comedy company) would stick gum to the wall and coins to the gum. Theater workers tried to scrape off the gums to keep the wall clean, but failed. 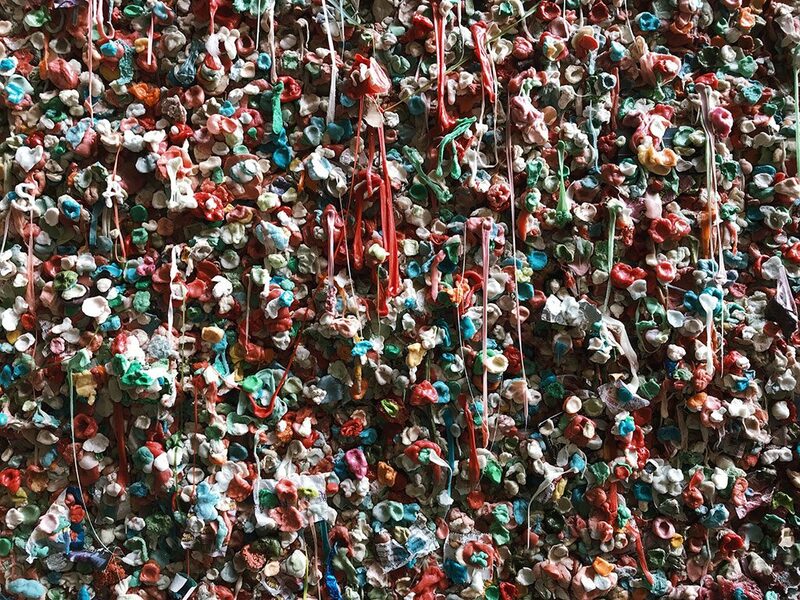 The gum stuck—literally, and the wall then became a tourist attraction around 1999. It’s icky, it’s gross, but people loved it! It was pretty hard to take pictures of this wall without photobombing other people. 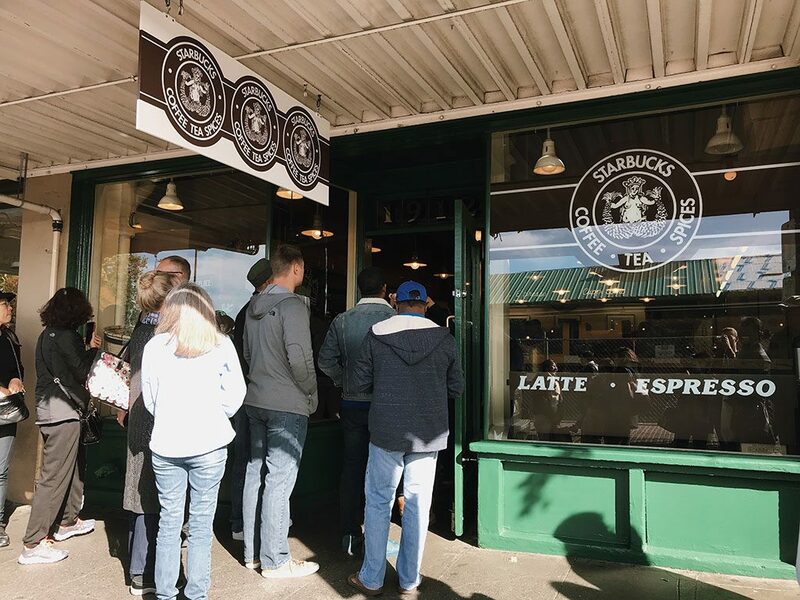 And there it was, the Original Starbucks! 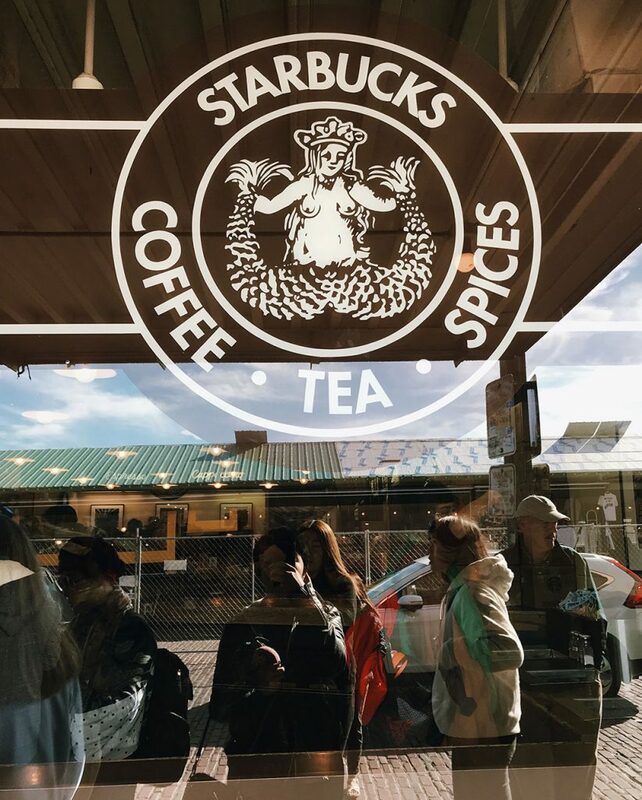 It is the first Starbucks store that was established back in 1971. 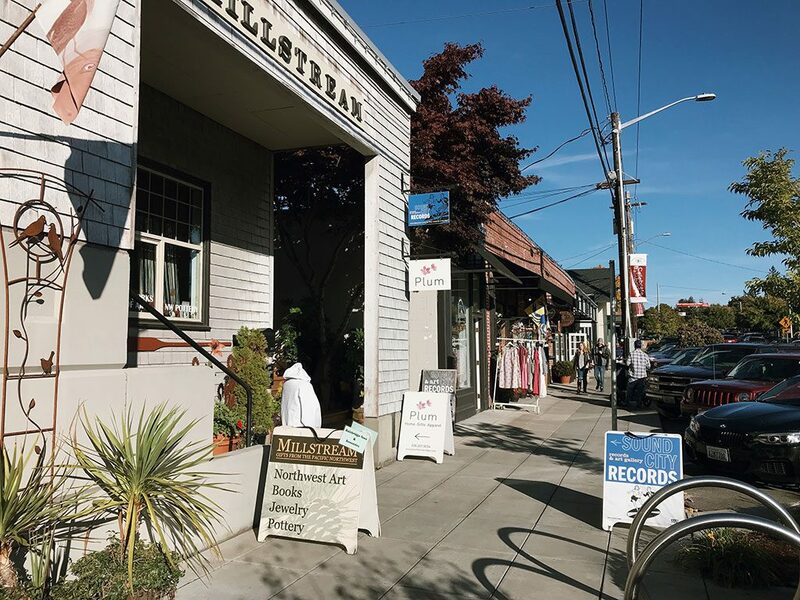 I was a bit surprised by how small the store was, but I read that it has kept its early appearance overtime due to its historical significance. When we got there it was packed with people inside, plus there was a long line of people waiting outside. 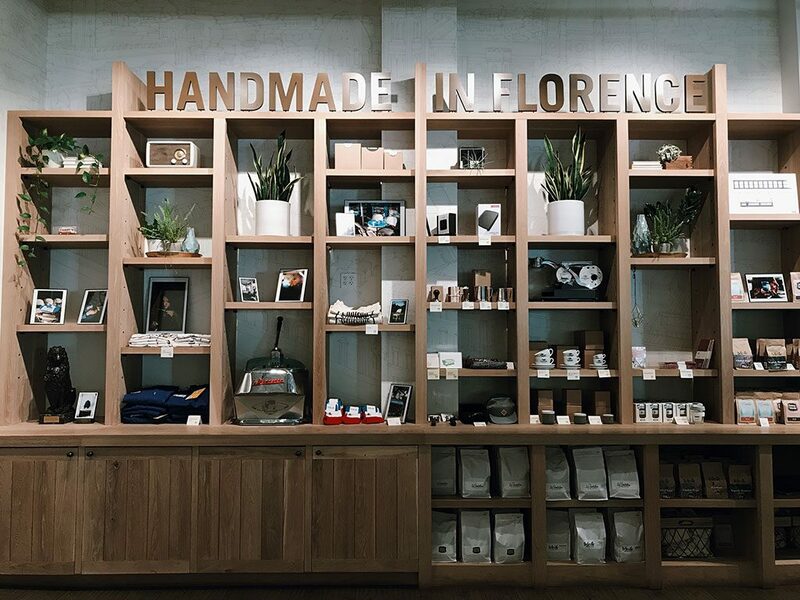 The store is considered to be a tourist attraction, hence the crowd. Adam and I weren’t really that fussed to go in, so we just took a few pictures of the place and moved on. 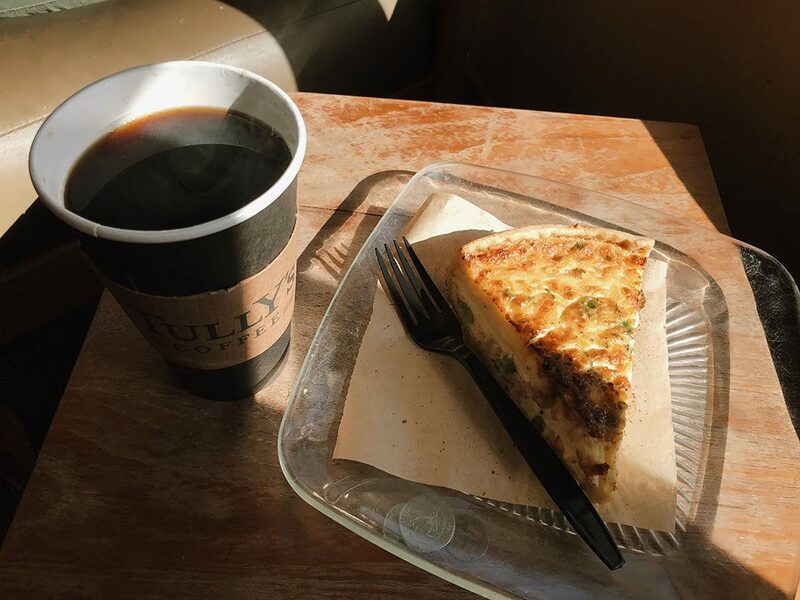 And this was where we moved on to—Tully’s Coffee. We had a bit of a coffee break there before heading towards Elliot Bay waterfront. Walking along the waterfront. 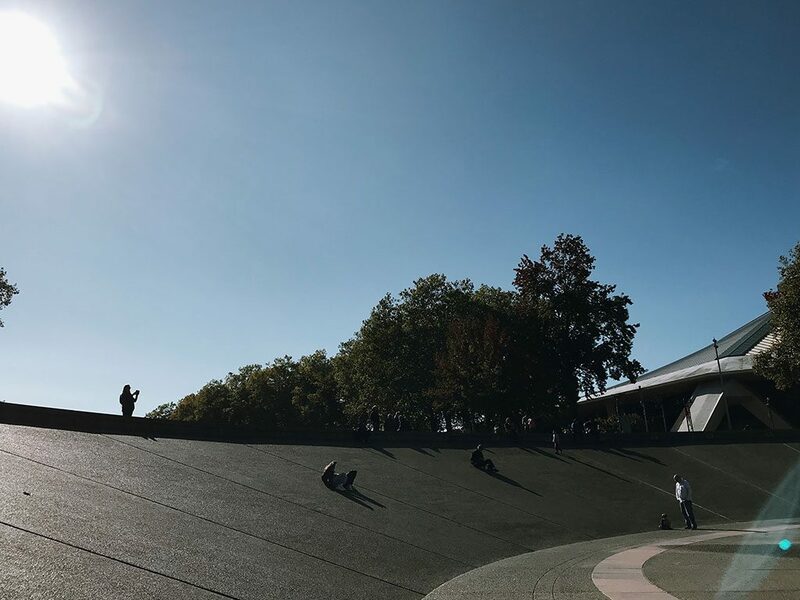 How gorgeous is the clear blue sky? I wish Bangkok has the same deep blue sky like in the US or in England. 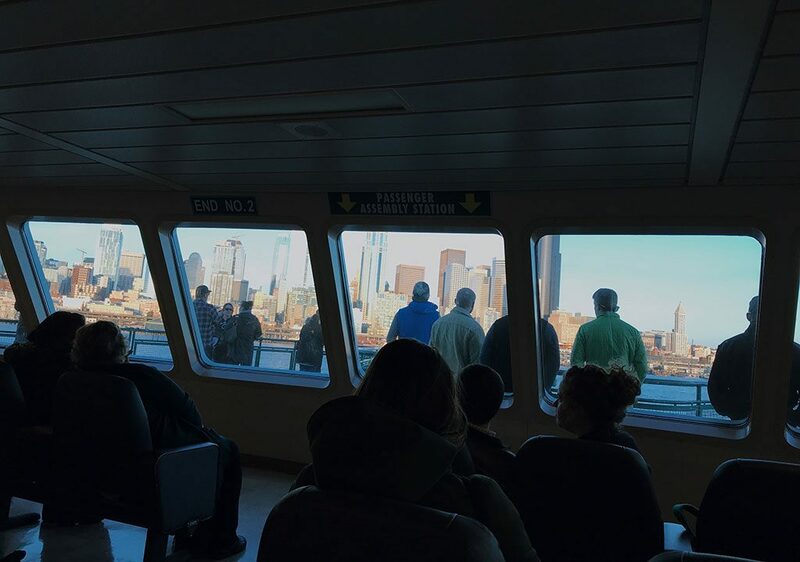 Since the weather on that day was so nice and sunny, we decided to do another activity popular among Seattle locals and tourists, and that was taking the ferry from Seattle across to Bainbridge Island. The ferry we took was pretty big! 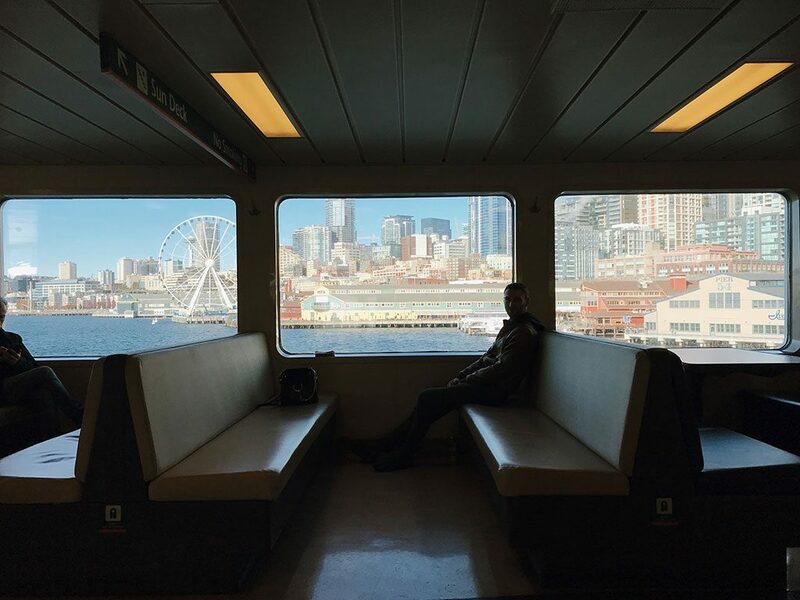 It belongs to the Washington state ferry system, and can hold up to about 2,000 passengers and more than 200 cars. 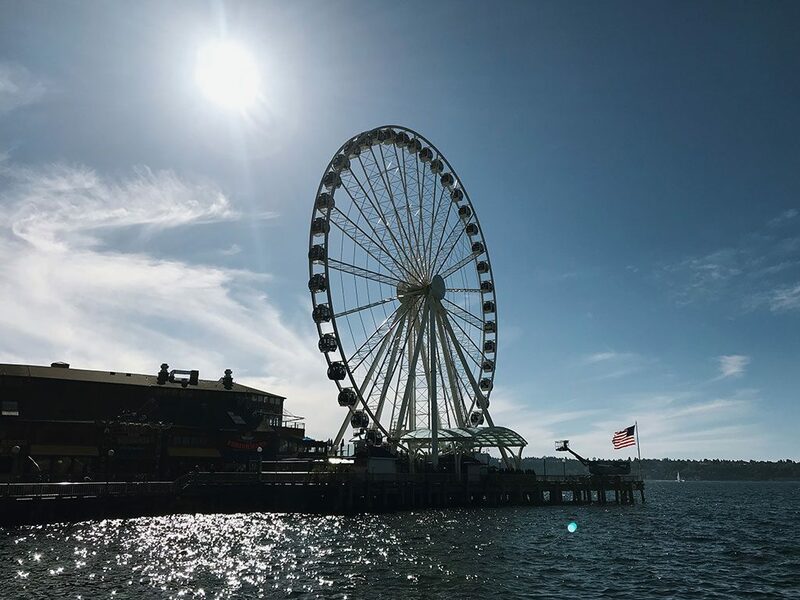 It was a great way to chill out and enjoy the views of the city, plus the cost was inexpensive and crossing time was only 35 minutes. 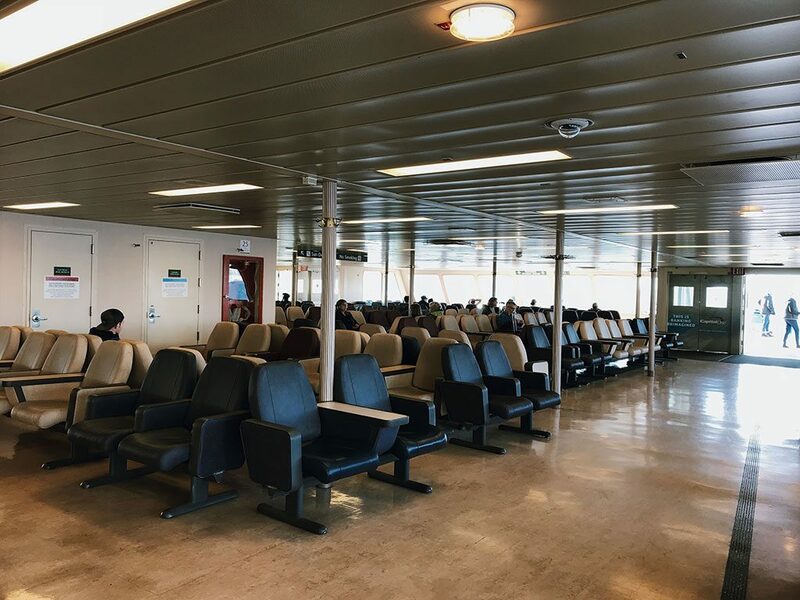 The ferry leaves around every hour, and the service was so convenient, making our trip to Bainbridge Island and back very smooth. 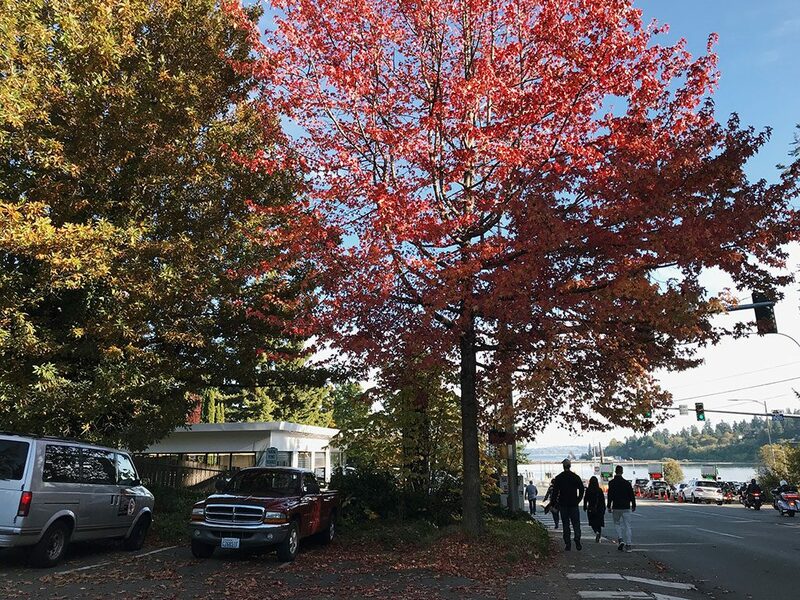 How gorgeous are these autumn leaves? 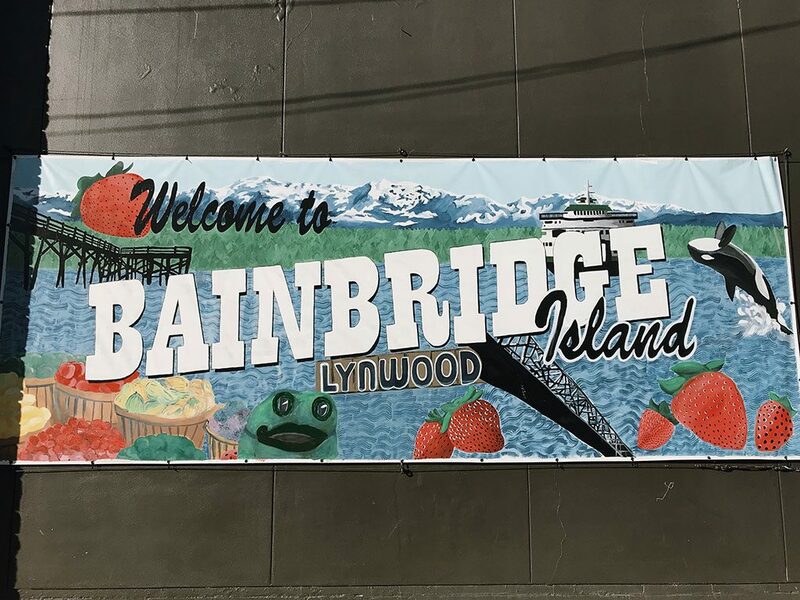 There are many points of interest in Bainbridge Island, such as Bainbridge Island Museum of Art, Bainbridge Island Historical Museum, Fort Ward Park and Grand Forest West for hiking, but we just stayed for a few hours around the city center. There were quite a few number of restaurants, bars, as well as books, jewelry, and clothes shop. 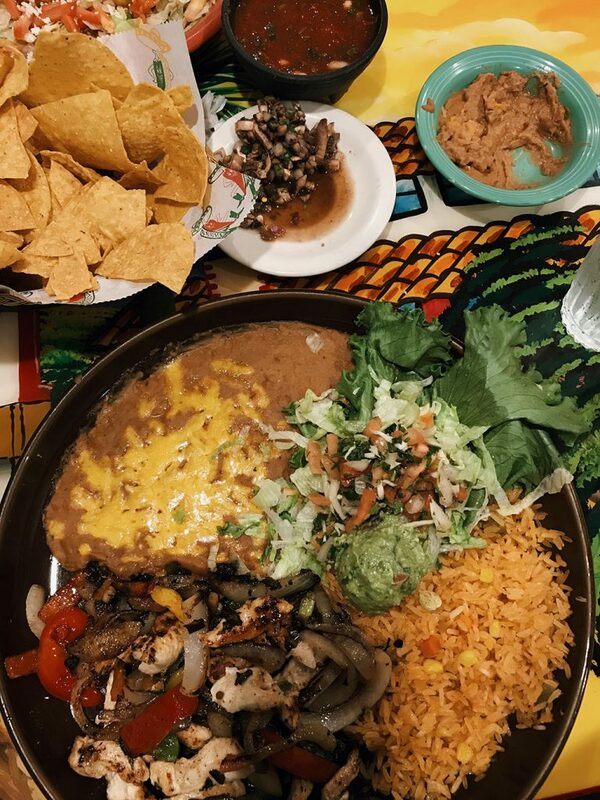 For dinner, we went to Isla Bonita, a casual Mexican restaurant serving Mexican staples and comfort food. Again, my husband and I always forget how BIG American portions are, so we ended up with two really large dishes! 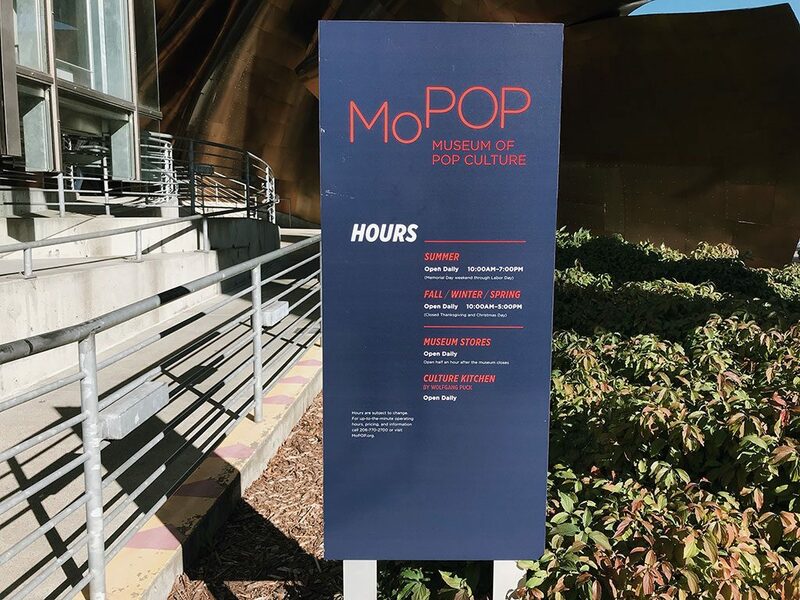 MoPOP, or Museum of Pop Culture was probably the only museum I really wanted to see in Seattle. 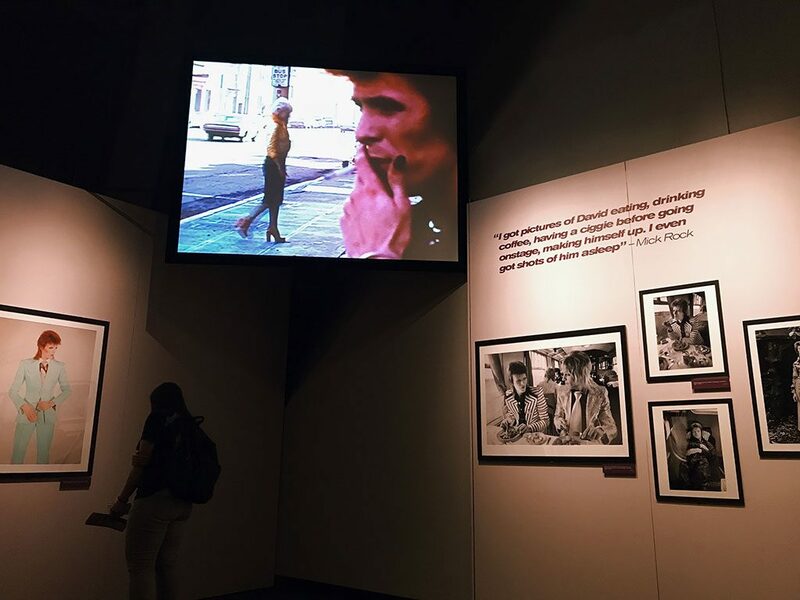 I am a huge pop culture fan, therefore I must not miss the opportunity to visit this unique museum! 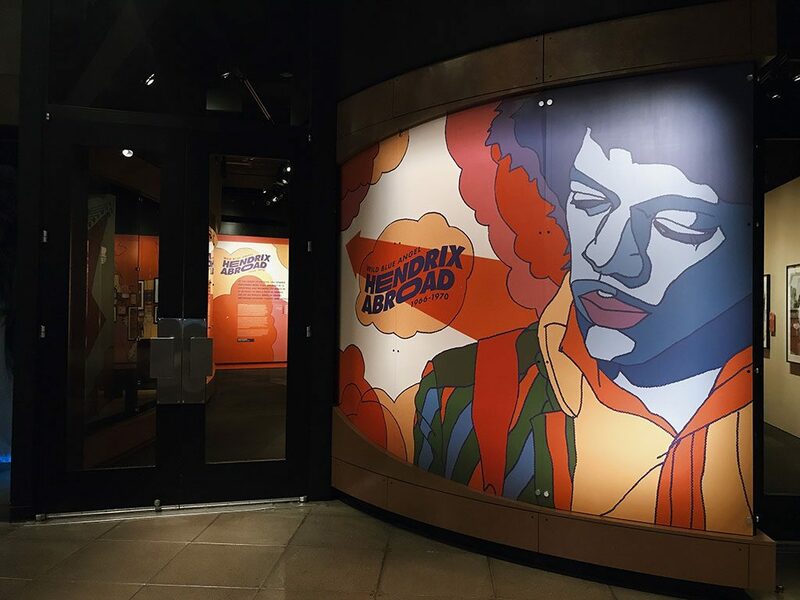 MoPOP is located at 325 5th Avenue N at Seattle Center, which is very close to the Space Needle. 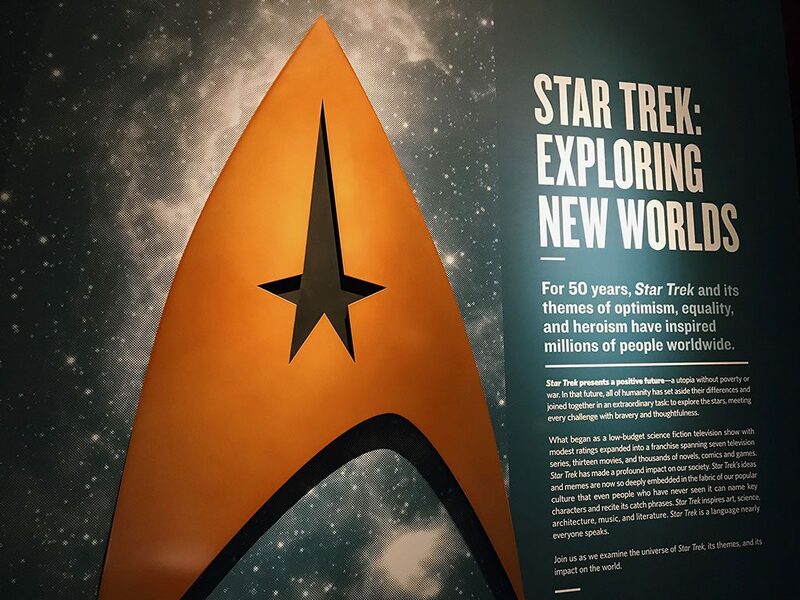 So if you plan to visit the Space Needle, don’t forget to go check out this museum as well! I guarantee you will not be disappointed. 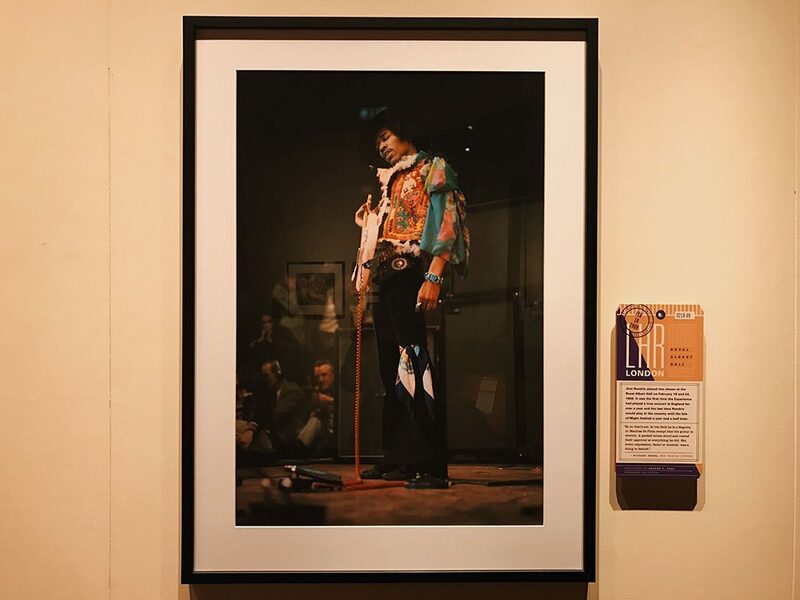 There were many really great exhibitions being held when we were there, such as The Jim Henson Exhibition, Star Trek: Exploring New Worlds, Bowie by Mick Rock, Wild Blue Angel: Hendrix Abroad 1966-1970, and Guitar Gallery: The Quest for Volume. 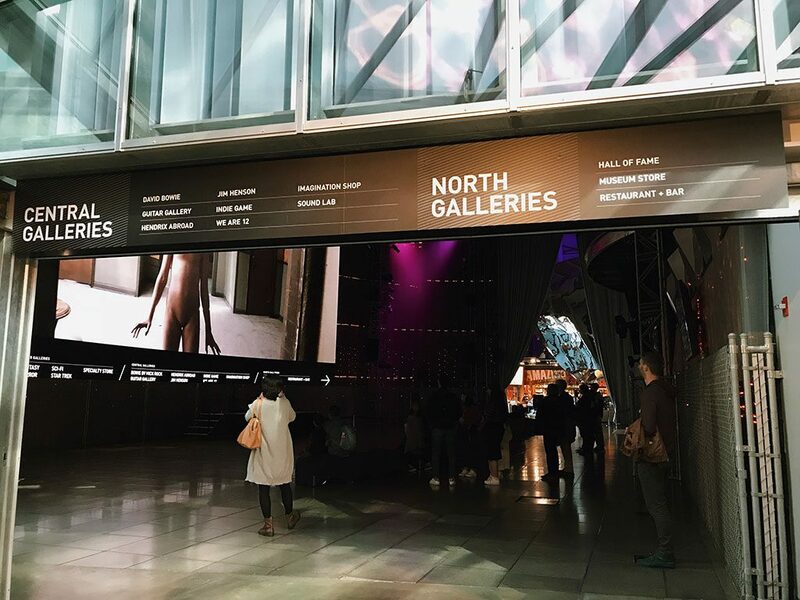 Ticket fees are on the pricey side to be honest ($28 regular walk-up for adults), but the exhibitions here are definitely worth the price. 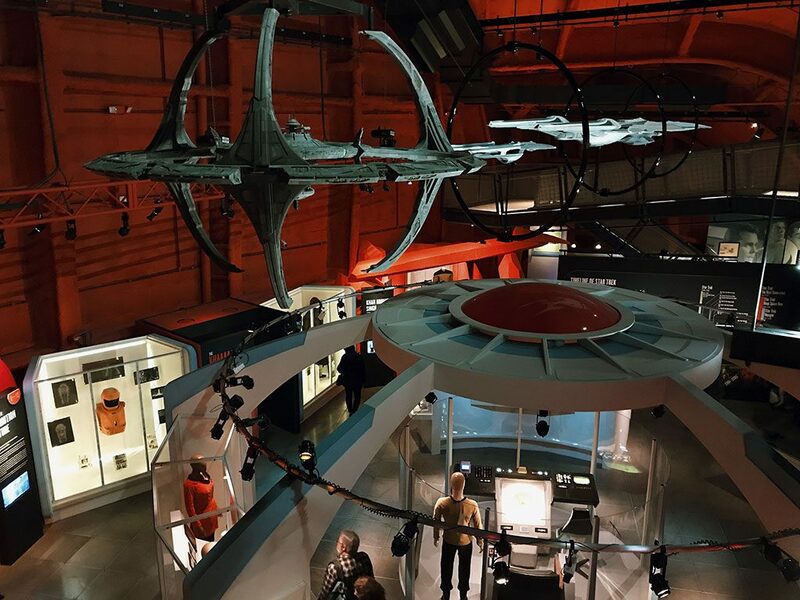 How stunning does this museum look? Look at all those metals and curves! 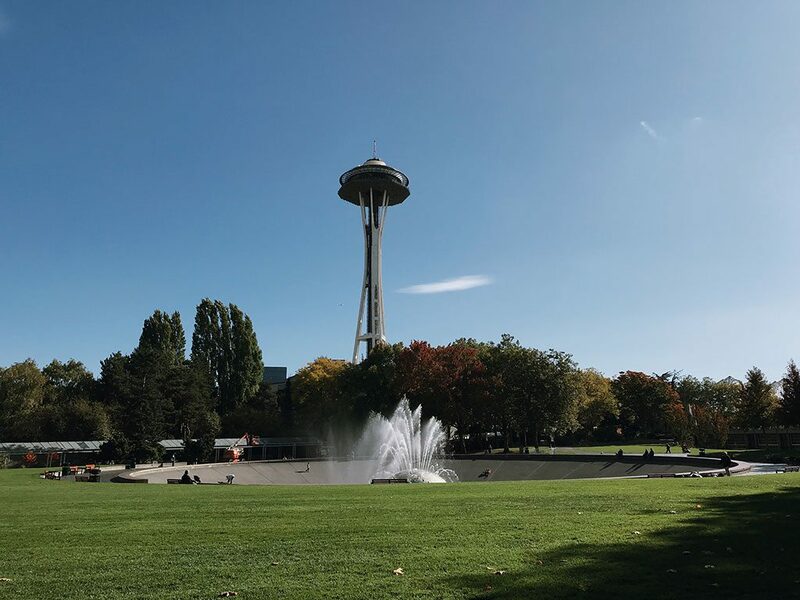 I didn’t expect to see the Space Needle this often when I was in Seattle, but here’s another shot of the iconic landmark while we were strolling around Seattle Center. 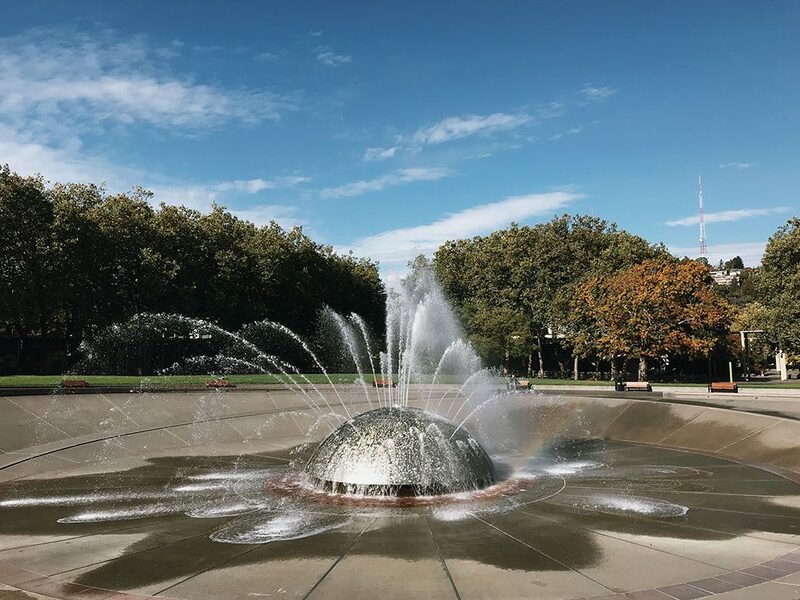 Then we walked up to the International Fountain, also located in Seattle Center. It was a nice place for people watching and to just hangout. 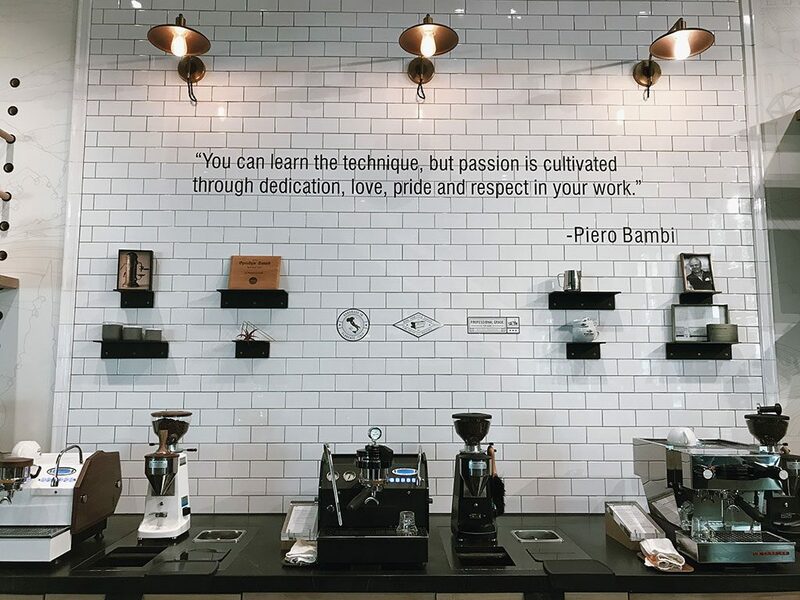 We then had a coffee break at La Marzocco Cafe, which is located in the KEXP building at Seattle Center. 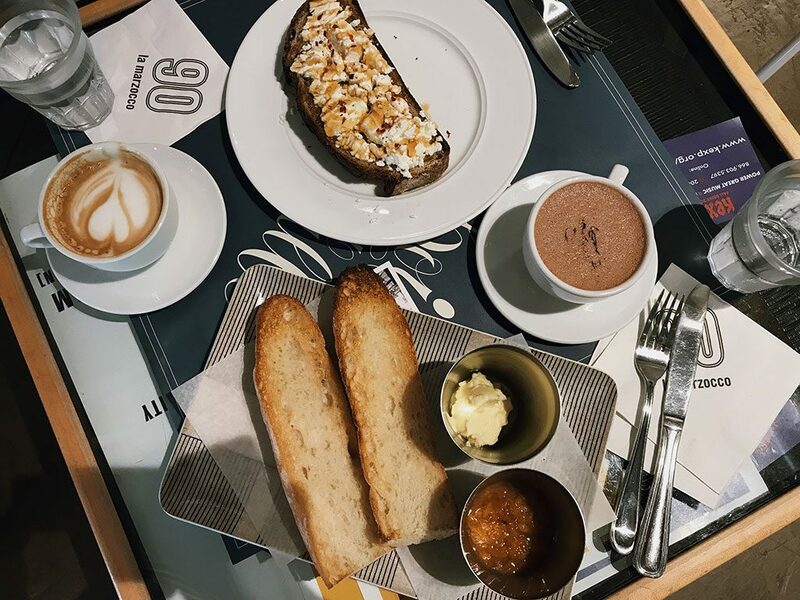 Each month, they will update their menu, bar design, as well as their fresh coffee selection from different coffee roasters and coffee brands from around the world. 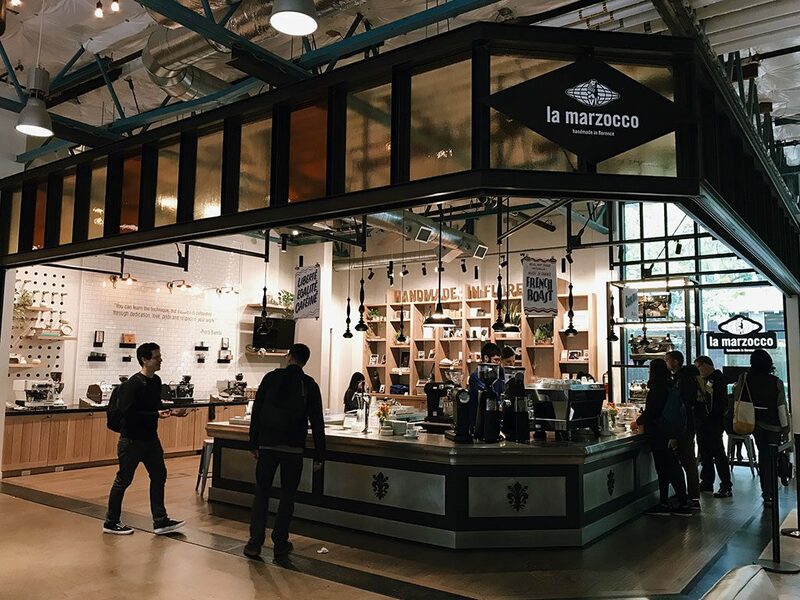 All in all La Marzocco Cafe is a very cool space—perfect for group gatherings, but quiet enough for you to just come here and enjoy a cup of coffee while reading your book. 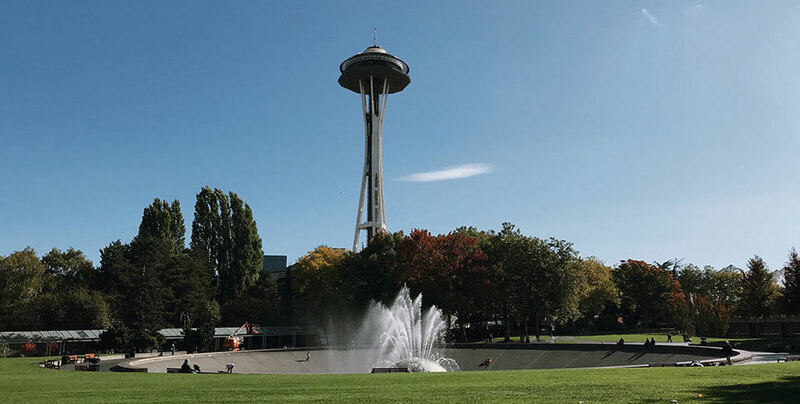 After La Marzocco Cafe, we then took a short bus ride to Kerry Park, located at the corner of Second Avenue West and West Highland Drive. 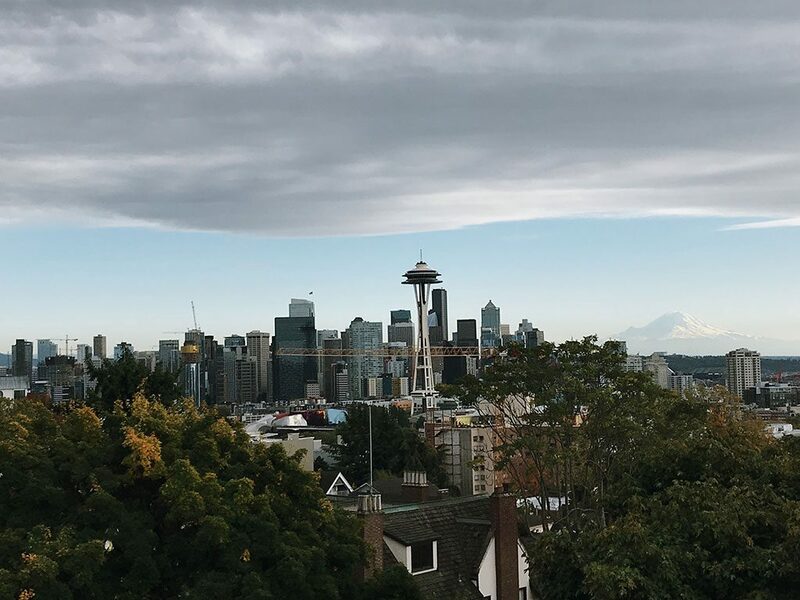 If you want to get that famous shot of the Seattle skyline, then Kerry Park is the place to visit. 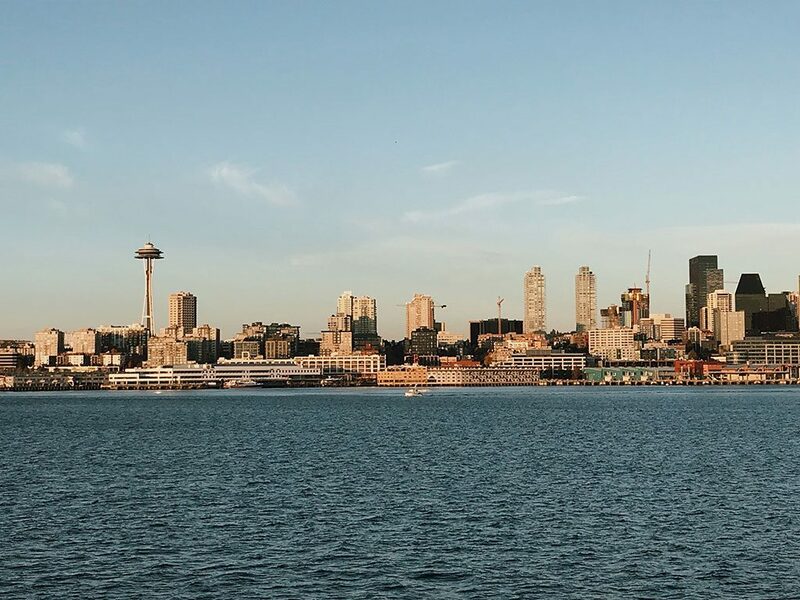 There was a small crowd of locals and tourists taking pictures of the skyline when we got there, but I read that it will get even busier in the evenings, as the view of the Seattle skyline is even more beautiful during sunset. Seattle was only bright and sunny for the first three days we were there, and the rest was just cold, gray, rainy, and honestly, a little bit depressing. 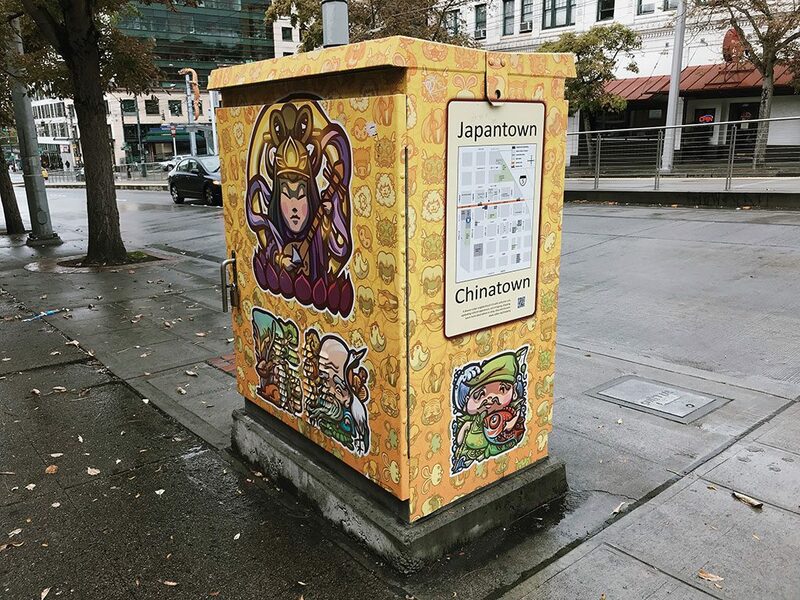 On our fourth day, we went to the Chinatown-International District to see what Chinatown was like in Seattle. The weather wasn’t so great that day, so we had a little walk around the area before heading to Samurai Noodles for lunch. The weather was quite cold so I fancied something warm and comforting to eat. 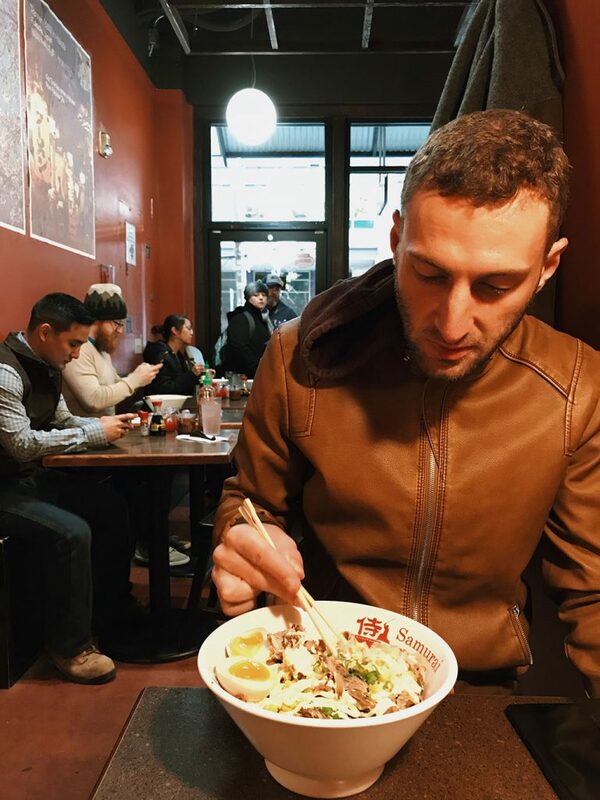 I was happy we found this Japanese restaurant because the ramen I had was delicious! 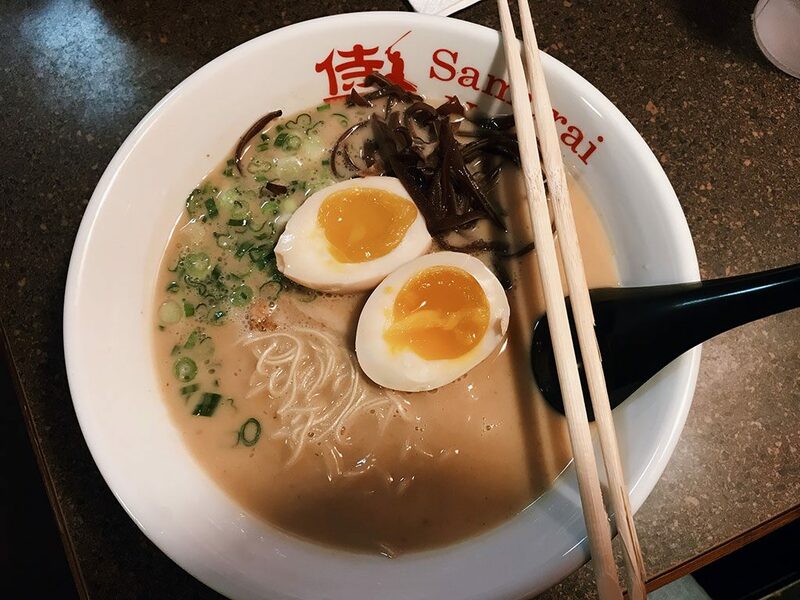 The broth was full of flavor and the noodles were cooked perfectly. 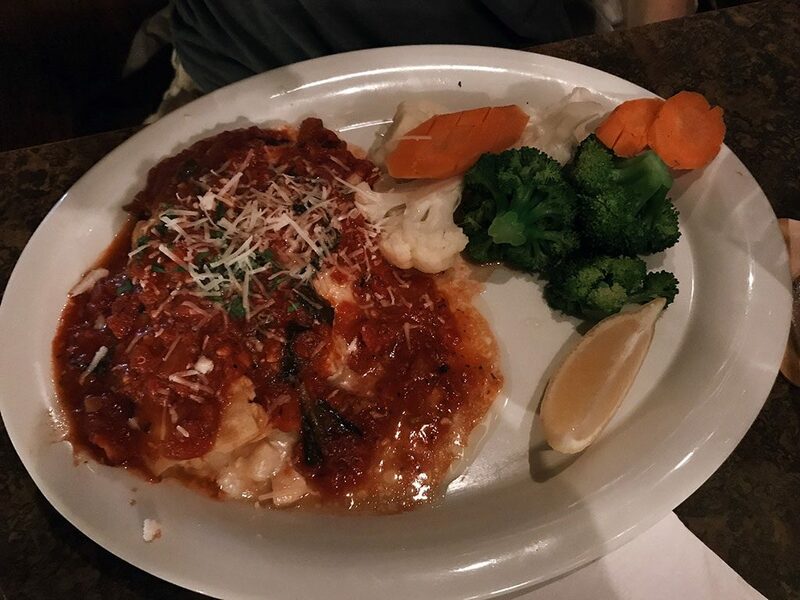 A great dish to beat the cold weather! 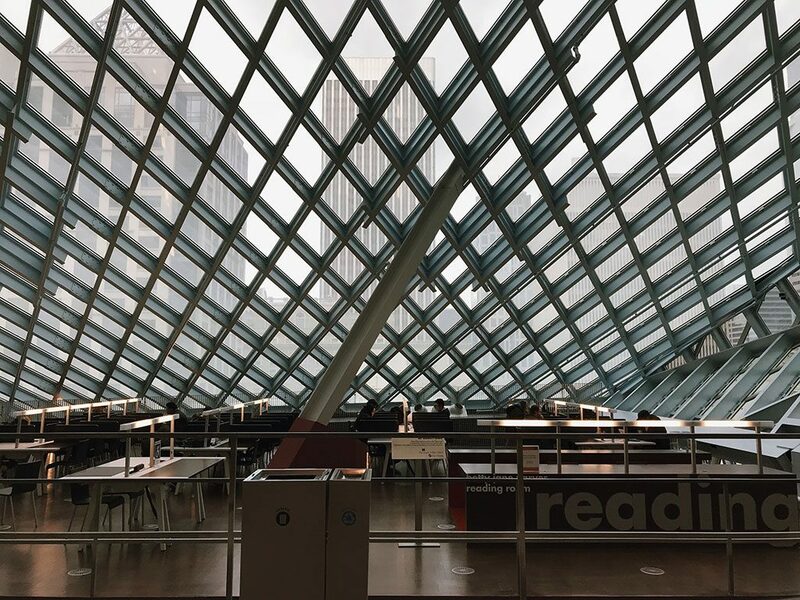 I read that there are over 1 million books here, including movie DVDs and music CDs to borrow. 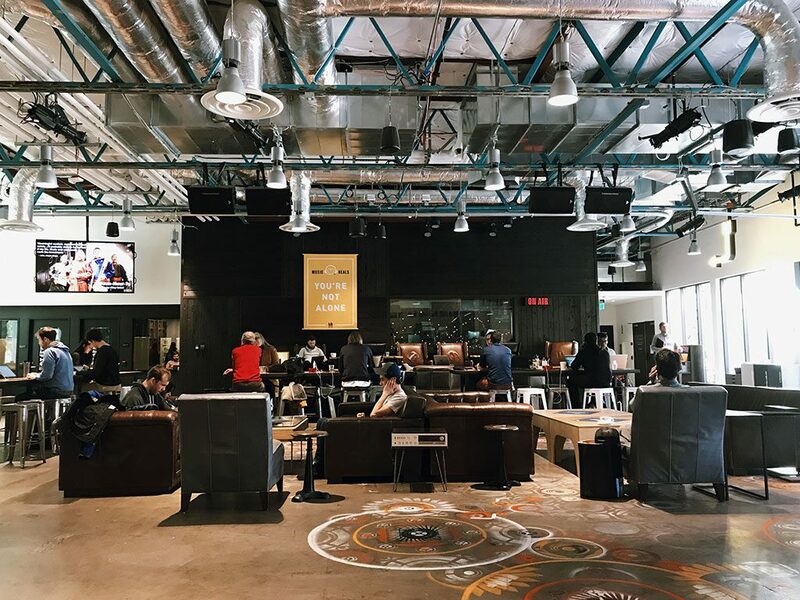 Other facilities include such as—an auditorium, meeting rooms and a training room for the public, areas for children and teens, coffee shop and gift shop, and many more. 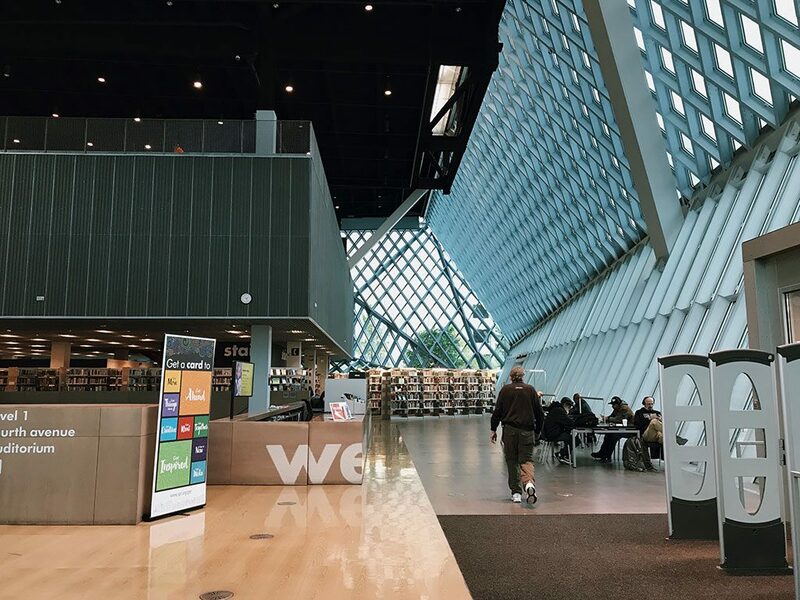 I love how modern and innovative this library looks! 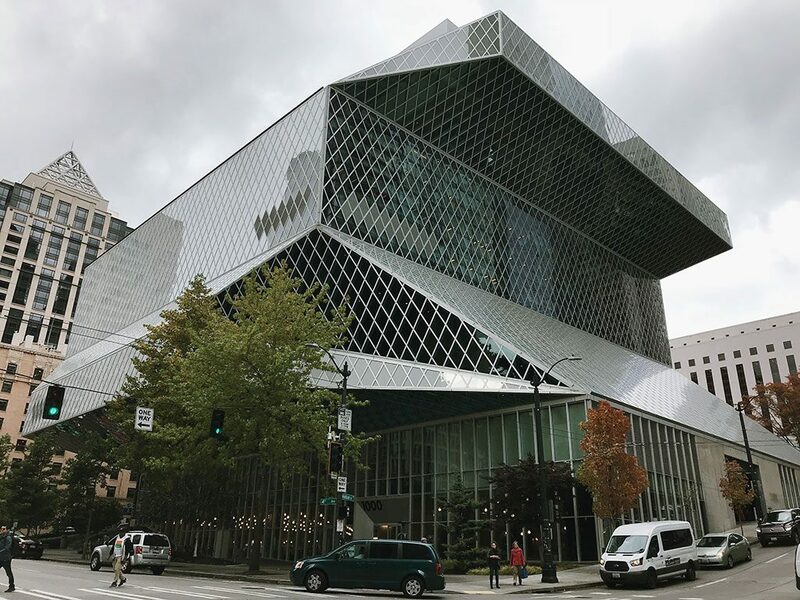 Designed by Dutch architect Rem Koolhaas, this 11-story library definitely turns heads for its unique design. 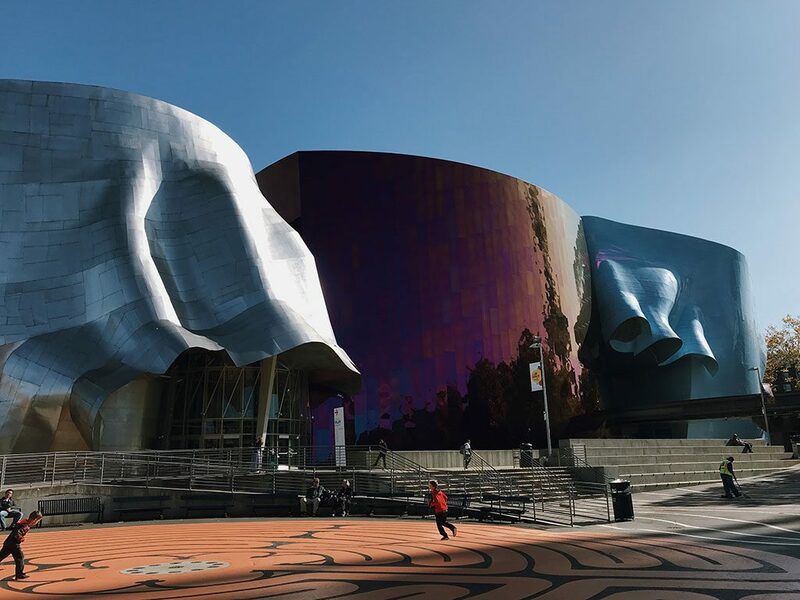 From the iconic Space Needle, the sharp, colorful curves of MoPOP, to the cutting edge form of Seattle Central Library, I was a bit surprised to see how many architectural attractions this city has! On our last night in Seattle, after Adam finished with his conference, I met him around Pike Place Market in the hope of finding a nice restaurant to eat for dinner. 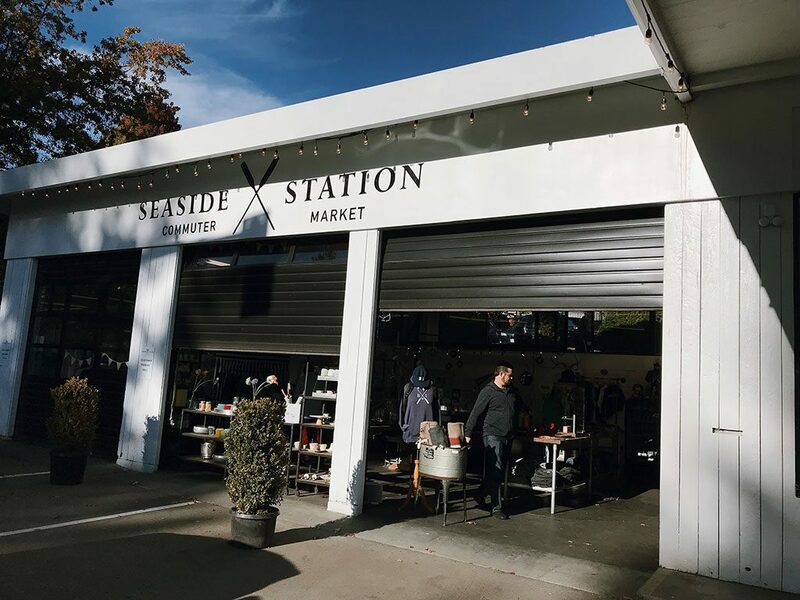 Pike Place Market has been considered to be the heart of Seattle’s vibrant food scene, therefore there were tons of the city’s best casual and fine dining restaurants for us to choose from. In the end, we went to The Athenian Seafood Restaurant and Bar. 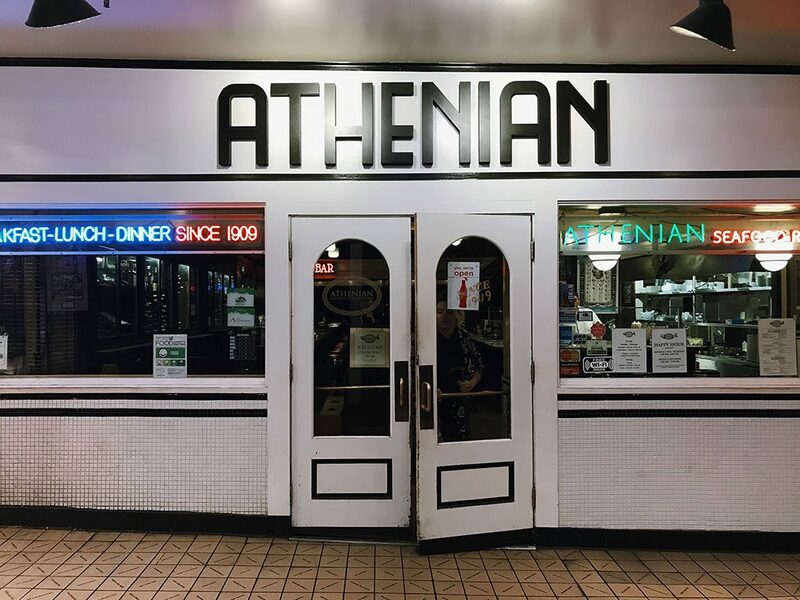 The Athenian is a popular seafood oriented restaurant offering breakfast, lunch, and dinner. 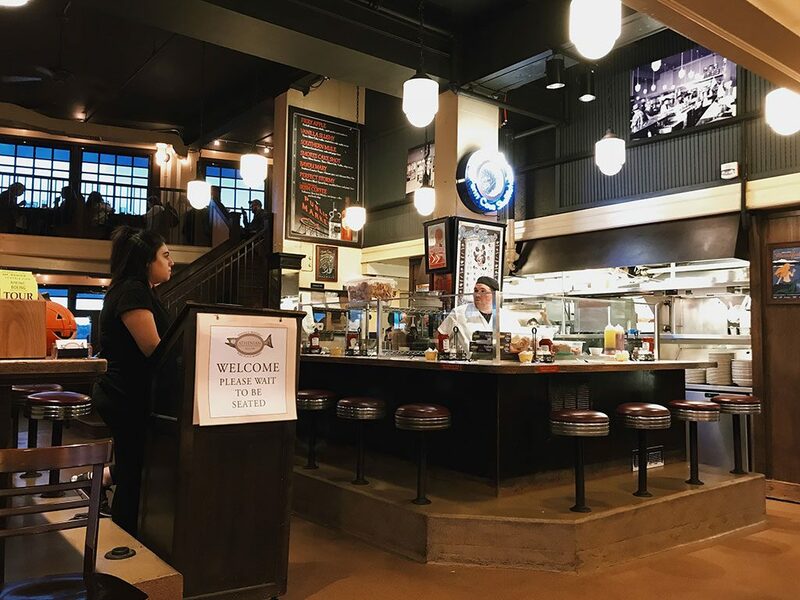 The location near the Pacific Ocean allows this restaurant to offer customers the freshest of seafood in Seattle’s iconic Pike Place Market! 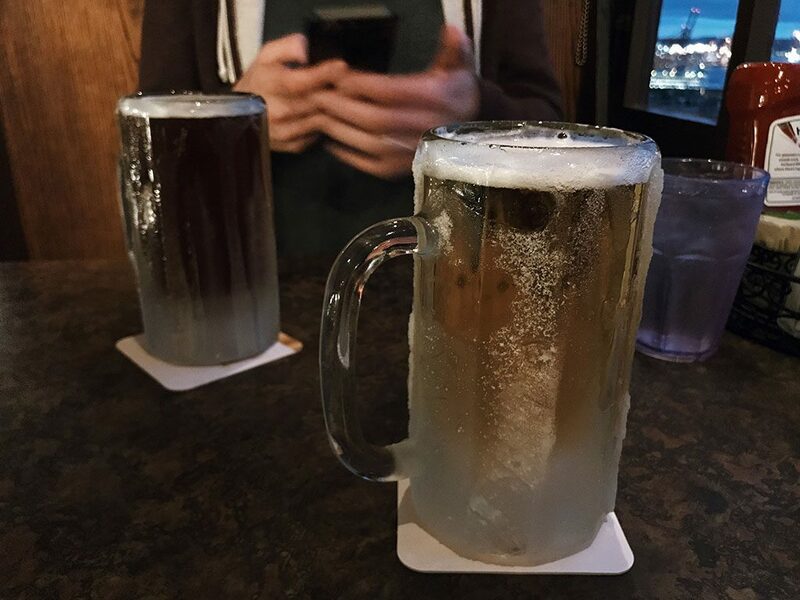 BIG pint of ice-cold beer just the way I like it! 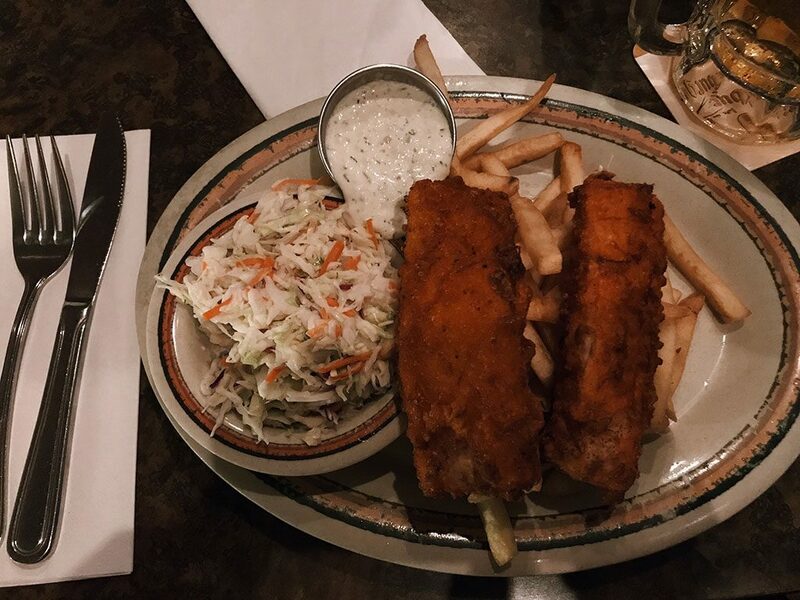 I had Alaskan Cod Fish & Chips, served with house tartar sauce, cole slaw, and french fries ($15.25 for 2 pieces of cod and $16.50 for 3 pieces). It was just the right amount and I enjoyed every single bite! 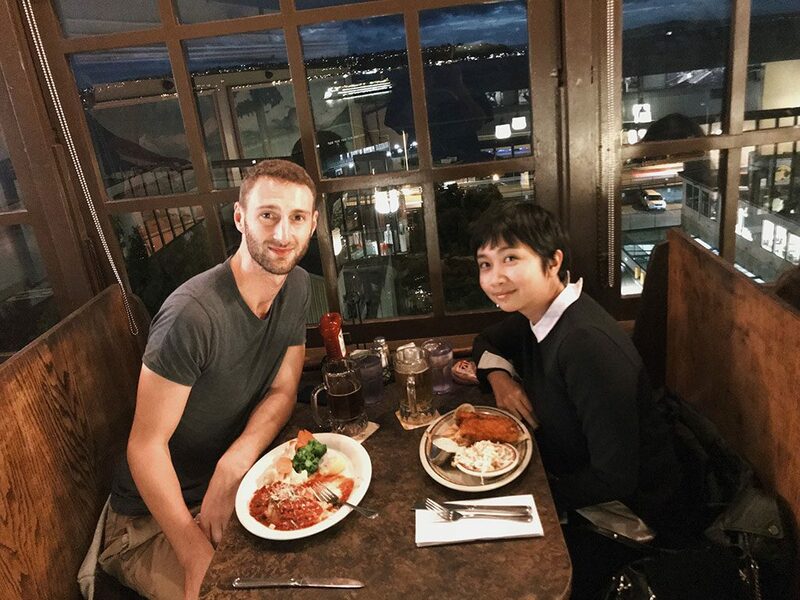 While the restaurant was full of customers, we still managed to get one of the best seats there right next to the windows looking out to Puget Sound. 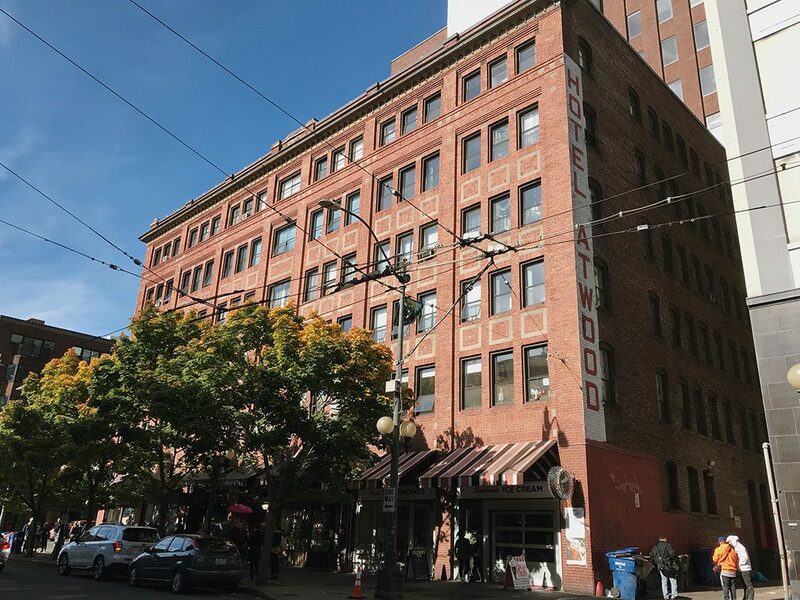 The Athenian is located right in the heart of Pike Place Market, so it may feel a bit touristy to some people. However, we really enjoyed the vibe there, the staff was friendly, the service was quick, and the seafood was fresh and cooked to perfection, plus they also have a long list of beers! 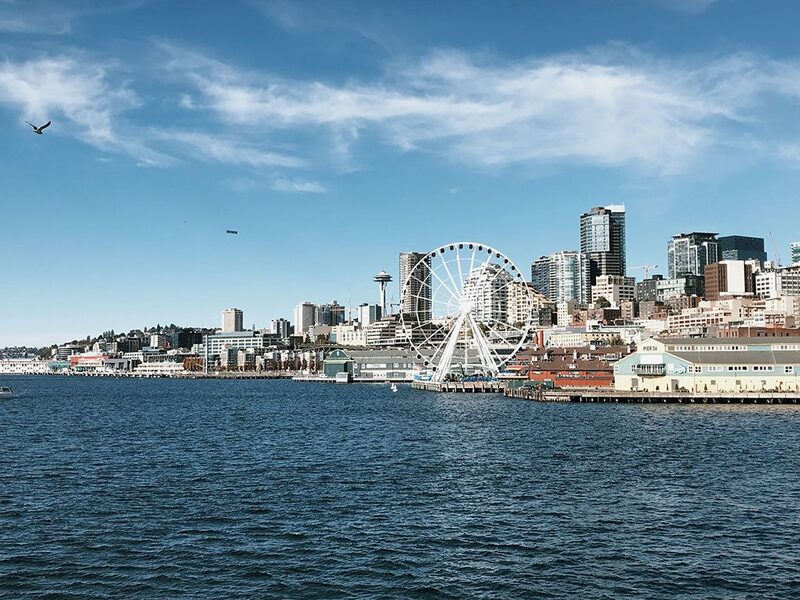 If you’re planning to visit Seattle for the first time, The Athenian Seafood Restaurant and Bar is definitely worth a visit.